Last week, Bethesda Softworks gave 411mania the chance to visit a hands-on gameplay preview event for the upcoming reboot of the Prey franchise. The original sci-fi first-person shooter in the Prey franchise goes all the way back to 2006. 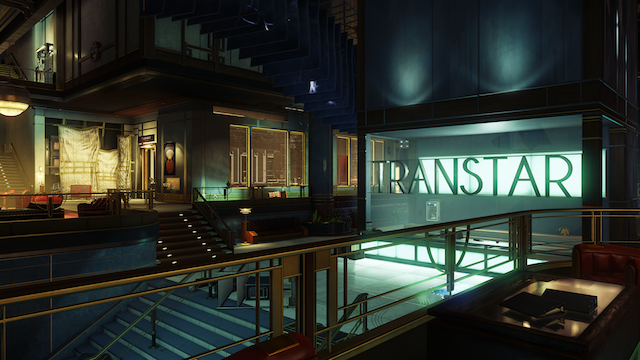 Previously, Human Head Studios developed a version of Prey 2 that would continue off one of the threads depicted in the first game. It would’ve featured a U.S. Marshall who is on the plane that crashes into the Sphere in the first game, who would then go on to become a bounty hunter on the alien world of Exodus. However, after numerous delays, this version of the game was eventually scrapped. I actually attended the behind-closed-doors preview for the original version of Prey 2. Essentially, the franchise has been rebooted, this time by the award-winning developer, Arkane Studios, which has had great success with the Dishonored series. 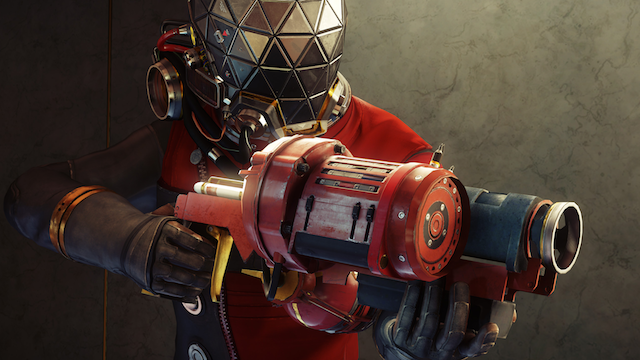 Prey is essentially a hard reboot of the original. There’s really nothing in common with the first game from 2006, except for the similar name. This is a completely different scenario and gameplay. It shares no similarities to the sequel either. The demo was set right at the start of the game. For the slice of the gameplay demo, players are given the option to play as the male or female version of the game’s protagonist, Morgan Yu. The demo begins in what appears to be Morgan’s apartment. Morgan is given some time to lounge around, reading books and materials, checking out the bathroom and work station, checking e-mail, and even flush the toilet. Eventually, Morgan gets dressed and takes a helicopter ride to the office. It seems Morgan is a scientist and is prepping for a trip to a space station called the Talos I. However, during some of Morgan’s tests, things start to get very weird. Things are even stranger when Morgan once again awakens in his apartment. Eventually, Morgan begins to realize things are not what they seem. The whole pre-credits game sequence was nothing more than an elaborate situation. Eventually, the demo has Morgan realize that he is already on board Talos I, a space station orbiting the moon, in the year 2033. Something terribly bad has happened aboard the station. It appears to be ground zero for an encounter with hostile aliens. These aliens, currently labeled as the Typhon, are amorphous. They drain the life out of their victims, specifically the crew of the Talos, and then mimic the crew members’ personalities and voices. The aliens’ attempts to take a more bipedal humanoid shape and actually speak in a human voice provided some of the gameplay’s more disturbing and unnerving moments. The interesting thing about the demo is that after the opening sequence, the exploration elements really started to open up. Essentially, this is an open-world FPS. The gameplay seems to encourage exploration as well. There are lots of nooks and crannies to check throughout this station. This is important because there might be a cabinet or a locked safe, but Morgan doesn’t know the combination. However, players might locate the safe combination or an ID card elsewhere to return and unlock the box to retrieve some useful items or weapons. Considering there are various work stations or computers that have e-mail with valuable intel, players will basically want to search around and check everywhere. In terms of the combat, the demo lets Morgan use a few different weapons. He starts out with a wrench, which can defeat the smaller Typhon creatures. Spamming the melee key will cause the stamina meter to run out quickly though. The combat controls felt nice for the most part, and were fairly smooth and responsive. Eventually, players can locate a high-tech glue gun. This freezes the Typhons in place and makes them easier to destroy. There’s also a pump-action shotgun, which was a personal favorite for the demo. As the gameplay demo progressed, more of the Talos station is unveiled. An anonymous contact named “January” guides Morgan to his office, where a major plot twist is revealed before the demo ends. The game does have crafting elements. Throughout the demo, Morgan is able to salvage parts and items that can be used to craft items later. His office features a recycler and a 3D printer that can be used to create some new items. In many ways, Prey feels comparable to the Dishonored series, except it’s futuristic sci-fi rather than a dark post-modern fantasy tale. The way the game encourages exploration and also enables the player to essentially accomplish their objectives their own way comes off similar to Dishonored. 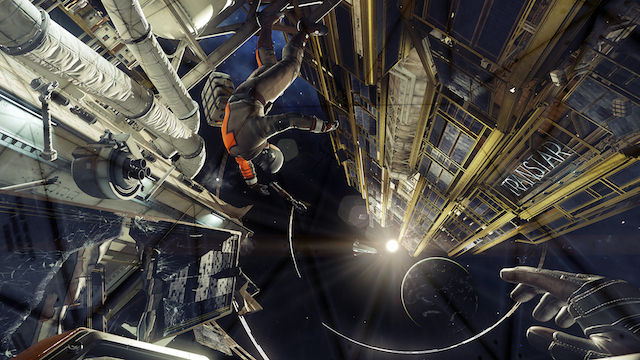 It was revealed during a Q&A session with designer Richard Bare that the game will also have zero-g space walks, which were very hard to pull off. The demo didn’t feature any of the space walk sequences, but it’s not something that’s often featured in this genre. Players can expand their skills by locating neuromods throughout the game. The neuromods can expand Morgan’s skill set and give him different abilities to use throughout the experience. Players might find a hacking neuromod to hack through electric consoles and doors; or, they might find an engineering neuromod to help with their crafting expertise. Neuromods appear to be scattered throughout the space station, which is another reason it’s important to explore and search around as much as possible. Later on, computers and work stations with e-mails where the scientists are discussing, analyzing and going over Morgan’s earlier test results. The impression is that Morgan has been taking these tests for a while; and lately, the scientists have been calibrating and introducing different variables in his tests. Something sinister seems to be going on aboard the Talos I. One other impression from the demo is that Morgan appears to be at the center of everything in more ways than one. 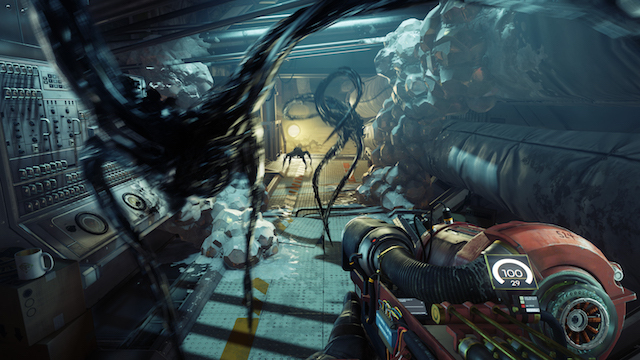 Prey is due out later this year. The game will be available for PlayStation 4, Xbox One and Windows PC.